Yesterday was a historic day at the Southern Baptist Convention. And it brought back to me many memories. In January 2006, without previous notice, and without anyone saying a word to me, the Executive Committee of the International Mission Board of trustees, led by chairman Dr. Thomas Hatley entered into Executive Session and made a motion to remove IMB trustee Wade Burleson. I was caught by complete surprise. When other IMB trustees asked the Executive Committee for the rationale of their attempt to remove me, Thomas Hatley responded, "Trust us." The Executive Committee gave me 24 hours to consider "resigning." They gave me the "carrot" that if I resigned, they would not make their motion to remove me public. The members of the IMB Executive Committee, all of whom were close friends or associates of Dr. Paige Patterson, further told me that I would "save my ministry," "save my reputation," "and not get into trouble with my church," if I would simply step down and not force them to take their motion to the 2006 SBC Greensboro Convention. SBC messengers at the annual meeting are the only ones who can remove trustees. I refused to resign. So the next day, Thomas Hatley opened the doors of the IMB trustee meeting room to media and promptly proceeded to lie about me and their process. The IMB Executive Committee would rescind their motion to remove me within weeks because they knew it was baseless. They also knew I would have the opportunity to speak to the 2006 Southern Baptist Convention prior to messengers voting on my removal. They didn't want that to happen, so they rescinded the motion. But the damage was done. Wade Burleson was now the problem. You can't believe a word he says. He is so unethical and such a "trouble-maker" we need to get rid of him. That's been the tried and true tactic of those who consider themselves in control of the SBC. I was a loyal foot soldier for the Conservative Resurgence until I became a trustee of the International Mission Board in 2005. It was then I began to see what Paige Patterson and his loyalists and sycophants do to people who oppose him. I have them to thank for making me the man I am today. The IMB trustees loyal to Paige Patterson were mad at me. I was doing all I could to prevent the firing of Dr. Jerry Rankin, President of the International Mission Board. The trustees moved against Dr. Rankin under the "guise" of adopting a new doctrinal that forbad missionaries from "using a private prayer language." It was well known by the trustees that Dr. Jerry Rankin privately prayed in tongues. So the way to get rid of people you don't like in the SBC is to narrow the parameters of doctrinal cooperation and exclude everyone who doesn't interpret the Bible on tertiary matters like Fundamentalists feel you should. Paige Patterson and his loyal followers didn't like the direction of the IMB in those days under Dr. Rankin. Paige Patterson thinks he "bequeathed to the world an orthodox denomination", so he and his followers think of Paige Patterson as the Baptist Pope or King who is responsible for the SBC. If you disagree with them or their direction, they'll say you don't believe the Bible, but the truth is, you just interpret the Bible differently. 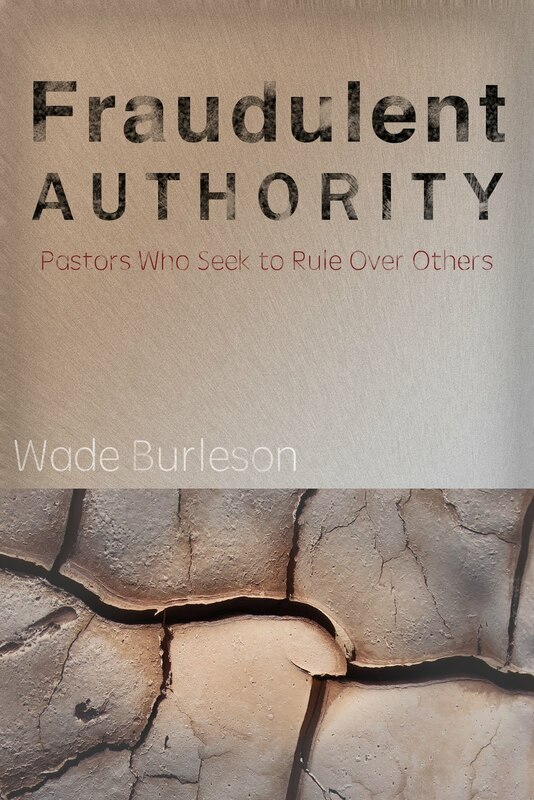 I've come to believe that Southern Baptists are great at saying "We believe the Bible," but in my experience, practicing what Jesus teaches is set aside in an attempt to control and exert authority over people. The SBC takes in $11 billion annually (through the churches). That means there are a ton of financial perks for those in charge. As an SBC institutional trustee, if you don't follow Dr. Patterson's desires or find yourself blocking his agenda, then he'll either directly or indirectly (through the use of others), remove you as a trustee, by hook or by crook. Of course, not all trustees experience this intimidation, because most trustees are really good people who follow and trust leadership. Only a few hard-headed people like me feel the need to question leadership instead of trusting leadership. The details of my experience at the International Mission Board are given in a book entitled Hardball Religion or you can read contemporary accounts of those days on my blog. 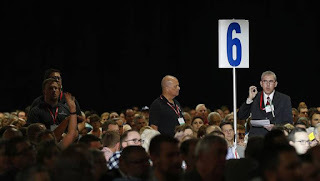 As a direct result of the controversy at the International Mission Board in 2006, the Southern Baptist Convention surprisingly elected Dr. Frank Page as President, the first time since 1978 a President not anointed by Paige Patterson was elected. I have been completely on the other side of all of this from you. I hope that won't prevent you from hearing me when I endeavor to step outside of this controversy and suggest something that I believe to be important. Your blog has played a significant role in this year's story of the Southern Baptist Convention. That makes its content, in my estimation, a valuable primary source for the people who (if the Lord tarries) will be trying to sort all of this out in 100 years. Yet blogs are nothing more than electrons--very ephemeral. Considering the way Blogger seems to run on occasion--very, very ephemeral. Have you considered taking any sort of action to preserve the content of your blog in a more permanent fashion? I should think that a suitable solution would contain both your posts and the comment log. The archivists at OBU's Mabee Learning Center would probably be as much help to you as anyone would. They also might constitute a suitable repository for the material. Another option to consider would be the Southern Baptist Historical Library and Archives in Nashville. Well, Dr. Barber, you are no longer "completely on the other side of all this." Yesterday, Dr. Thomas Hatley made a motion to remove the Executive Committee of the Southwestern Baptist Theological Seminary for the decision of the Executive Committee to remove Paige Patterson as President Emeritus of Southwestern Baptist Theological Seminary. Hearing Tom Hatley at the mic felt like old times. During some tense debate, Paige Patterson loyalists called into question the integrity, the character, and even the "Christ-likeness" of the members of the Executive Committee of SWBTS. Bart Barber, a member of the SWBTS EC and a former adjunct professor at the seminary, took a moment of personal privilege and spoke "in defense" of the Executive Committee. Dr. Barber gave a detailed report that indicts the leadership of Paige Patterson at SWBTS. What Bart revealed about trustee intimidation by Paige Patterson, what Bart said about Paige Patterson considering himself above accountability, and what Bart Barber summarized about the reasons why the SWBTS Executive Committee took the actions they did is nothing new. I've been saying it for twelve years. But this time, the Convention was allowed to hear the debate and the messengers were shocked. 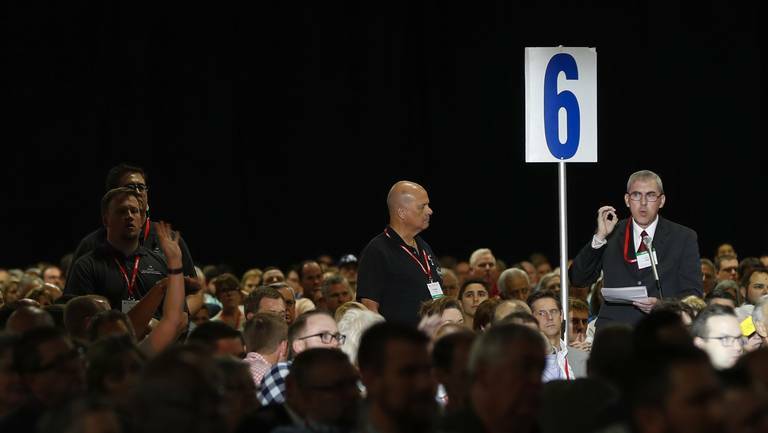 Debate on the motion closed after Bart read his statement, and the messengers of the 2018 Southern Baptist Convention messengers voted 90% to 10% to KEEP the Executive Committee of Southwestern Baptist Theological Seminary in place. Our institutional trustees should have been giving honest, transparent reports to the Southern Baptist Convention every single year. Nothing like a trustee being called every name in the book to light a fire within to "Tell the truth and trust the people." 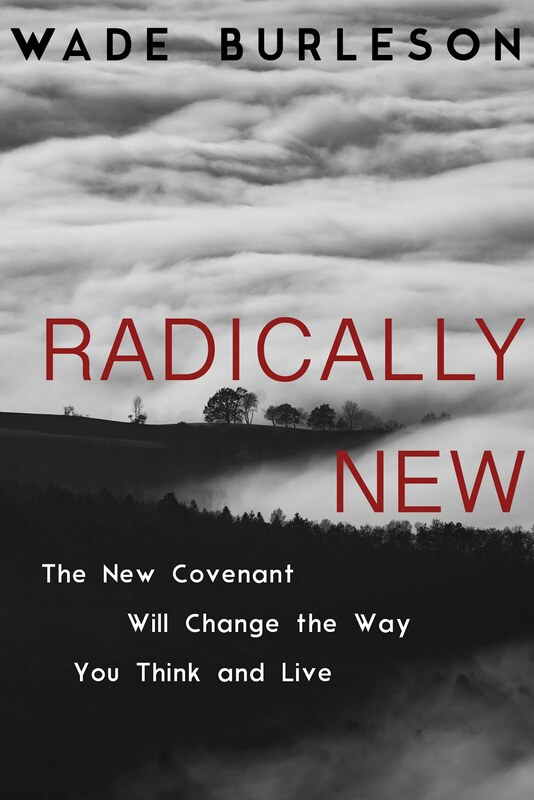 It's a new day in the Southern Baptist Convention. I just couldn't believe the debate and reasons that were given for the motion. It just reminds me that people still don't get it. We claim inerrancy but any passage that elevates a woman's status in ministry is ignored. We focus on the smallest details and miss the beauty of the mountain range of faith our Bible builds through the lives of all saints. I just pray another E.Y. Mullins or Herschel Hobbs would rise up and lead us back to our roots built in the bedrock of a relationship with Jesus Christ as the sole authority. For all the people that would applaud Dr. Barber about his speech yesterday,would you have done this 2 months ago? Count me very cynical about these new "brave" men that speak so bravely after Patterson has been fired. More than a few have expressed similar sentiments. It matters not who gets the credit. It's just those who now stand on the hill better learn from history or there will be another charge. I’ve been on the other side of the issue too. Wouldn’t trade that painful experience for anything. It formed a lot of how I view my witness and how I view the govenoring of Christianity. I’m glad in the end Dr Barber saw and admitted the abuse of power. Little did Tom Hatley and the trustess know that your church was fully behind you, as they expressed to you in applause, and they could do nothing to destroy a pastor that we know better than they ever could. We know you are a man of integrity and conviction who follows that. It's why we have grown in our love for Christ, people and our faith is growing under your teaching. I know this was one of the most difficult, gut wrenching things Bart has done, Paige Patterson was so dear to him, which makes it all the more jaw dropping and shows his integrity. This years Convention was amazing, God was there and active. "I've been saying it for twelve years." You have been writing about women being raped and sexually abused, that Paige revictimized these women for 12 years. It's like a curtain opened and a bright light woke our leadership and messengers out of a 30 year trance. The votes were so overwhelming that in most instances, the votes to keep things as they have been for 30 plus years were hard to see their were so few. The votes to affirm all that has been written and revealed with proof concerning women, immigrants, racists, etc over the last 13 plus years, were so many that the ballots looked like a yellow sea of paper. It was amazing to behold. I will say it another way--I find some of those that stand with Dr. Barber now are disingenuous. It will take more than someone supporting Dr. Barber now to convince me of their sincerity. The Patterson show has been going on for almost 40 years. I am more of s show me person. Talk is very cheap. Dr. Barber suggested that there needed to be a repository of Wade's blog. I know where there are 3,000 sq. ft. of unused space where it could be right at home amongst other Baptist Heritage documents [insert snarky emoji here]. If you will recall, I rose to address a motion you'd made in 2006, relative to how Boards of Trustees were seemingly "packed" with those loyal to one person in the denomination. And how a trustee .. whose name I have mercifully forgotten .. accosted me as I was entering the Convention Hotel later that evening. As you will recall, Peg had even gone on into the hotel lobby to pray for me, which ought to tell you something. I will state that, if he was typical of IMB Trustees, I'd have wanted nothing to do with them. You are to be commended for sticking to your guns. I also recall your providentially happening upon the conversation, and how irenic you were. "Cynical" and "disingenuous"? How about Romans 14:4? Well done, sir, and well done, Bart Barber. I was not referencing Dr. Barber-I was referencing all the others who want to say yea man to Dr. Barber now. IMO they would not have done it two months ago--I do not call them brave. It would be very easy to be skeptical of Dr. Barber's change of direction, or say, "Too little, too late." But the reality is, once a toxic leader is excised from a system, the poison that got infused into the infrastructure takes years to flush out and revitalize. And the same applies to people who've been in orbit around that leader for any length of time. At least, that's my understanding as best I can see from surviving five instances of malignant leadership in churches, ministries, and non-profits, and 10+ years of research writing on systemic abuse. For instance, I was involved in an SBC/Nehemiah Project church plant where the leader turned out to be toxic, despite passing the church planter assessment process with flying colors. (It didn't really do anything to screen for sociopathology; hopefully that process has changed.) I invited a lot of my friends to become part of the church. It became clear to me that the leader consistently showed a lack of character and failed to follow through on what he said. Eventually I felt the freedom to leave -- but a number of my friends weren't ready to leave yet (and some already had). With one person, I had to wait for three years until he realized the pastor would never allow him to do any significant ministry that related to his gifting. And it took much time after that to console my friend, help him regain his bearings, and continue moving forward now that the tether was cut from orbiting around that pastor and his empty promises. So, in Dr. Barber's situation, I'd rather be conciliatory toward him and be available to assist in his detox process, than to just stand back or throw stones. If this represents first steps in a different, better direction, I'm for it -- and for him doing it. And if it's not, Kingdom klieg lights have been activated on the whole SWBTS situation, so it/he will be under intense scrutiny. As to survivors of ministers taking in by malignant leaders, better to be there to stand alongside such brothers and sisters -- validate their observations and conclusions, help them fill in gaps with spiritual spackle they need but didn't know existed, and generally amplify the change process they'll need to undergo. And that's the only way I know of to do a constructive paradigm shift for a toxic institution ... by a movement toward spiritual health among the people connected to it. Or, if the system is too far gone, time to thank the Lord for what good it historically may have done, and dismantle it so it doesn't continue warping possibilities for the future. Tom: I disagree with your words and demeanor. Because we disagree profusely with someone or they disagree with us does not make them an enemy. Even if they say words as Bart has in the past. When they do something such as Bart has, it should be recognized for what it is which was pretty wonderful. Wade and I know how much Paige Patterson meant to Bart. It was as if Bart fired his own father. That is integrity. That is something to be praised. This was the hardest thing that Bart has ever had to do. Bart is hurting over this right now. But he did the right thing as the other ECT did and went with the evidence. Paige Patterson did this to himself. It's as if the blinders have been taken off and the truth seen. Something that Wade has been trying to say for 12 plus years is now being seen by all of the SBC save a few. A very tiny few based on the voting Tuesday and Weds. 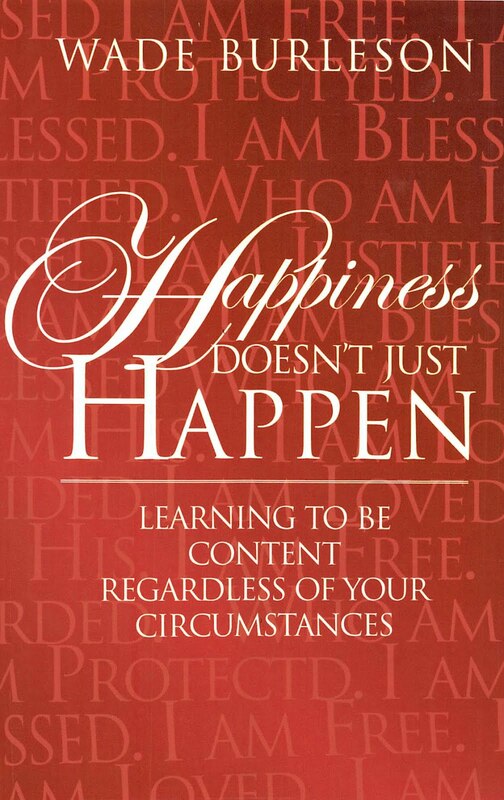 God is able Tom. And that is what I saw. It has been a very emotional convention for me this year. Now let's see if that voting becomes reality. That will be the test. The breakout panels were amazing this year. Focusing on the very issues we voted on. BTW Tom, I disagree with your words etc. but I do understand why you feel as you do. So I am not at all condemning. You were not referencing Dr. Barber but those standing with him, I contend it was as difficult for them as it was for Bart and God is able. I wish they would have seen earlier as we did, more women and people would have been saved from destruction which did not destroy them but made them stronger. But at what price? But I am grateful that no more will go through Paige's ire. And the feeling in that Convention hall as over 9,000 messengers voted was amazing. There were over 9,000 messengers which made this for me even more sure the tide is changing. I am still crying as I type. Debbie, I have watched this dog and pony show for 40 years. There are 1,000's of PP's left in the SBC IMO--who will fire them. I'm not waiting any more for the SBC to change. If I am to be condemned for what I said in this post then those that want to condemn and rebuke me please know it is ok with me. I meant every word I typed. Thank you for all you have done to be a catalyst for much needed change. Thank you as well for keeping us informed (even my wife who doesn't pay attention to convention matters at all commented that you showed up on WFAA). I spent most of the convention days with one eye alternating between two Twitter feeds: your's and Sarah Smith's. Your passion, conviction, and advocacy for what you believe in is appreciated. Tom: I would never ever condemn you. I have always listened intently to you, I understand. And I could be wrong, but I guess I saw the most messengers that I have ever seen, had the honor in participating in a rally for database, treatment of women etc. and yes, there were some who are as you describe, but the panels this year included more women than I have ever seen on anything SBC, we were treated wonderfully while there and as a female that was a huge change, although in my church treatment of women as equals and knowledgeable in theology is a norm, it is not in the whole realm of the SBC or it wasn't. That changed. I saw more than just the Convention itself, but 3 days of people. So grateful to Wade and our church for allowing us the privilege of being messengers. Again, I could be wrong but it would take a lot right now to convince me otherwise. Maybe you can shine a bit of light on things for me. I was not in favor of removing the EC of the trustees at Southwestern but I was concerned with the statement made by one of the trustees not on the EC. It seemed, by his comments, that the remaining trustee board was unaware that an EC meeting had been called 5 days after the full decision by the board to give the "perks" to Dr. Patterson and the remaining board members did not know a decision to terminate Dr. Patterson had been made until an email was sent by the chairman of the trustees following the termination. His stated concern was that the decision to terminate Dr. Patterson was made by the EC without any consultation with the rest of the trustee board. This is a bit troubling to me since it appears that an EC of trustees can make binding decisions without the full support of the board. Is this correct? Or does the full board of trustees have the ability to reverse a decision of the EC if they choose to do so by a majority vote? I'm not familiar with all of the parameters of trustee boards for our entities (I have never served on one!) and I wonder if the trustees are even aware of all of these parameters. It appeared to me that this one trustee, not on the EC at SWBTS, believed he had no recourse with the decision made by the EC. If this is not the case I think it should be vocalized so that trustees understand the process. I can envision an EC of trustees for some of our entities moving with a heavy hand on certain decisions/issues (like what you experienced at the IMB) in secret without the entire board of trustees knowing what is happening. If I'm not mistaken, wasn't Jim Henry's 1994 election as convention president the first time the pre-arranged pick by Patterson (Fred Wolfe, I believe) didn't go through as planned? It is still there in other entities. Folks in the SBC have followed and endorsed Mark Driscoll and his 'throw them under the bus' form of management. The EC has the authority to make unilateral decisions on behalf of the board. Walking out of the SBC yesterday, a spoke with a couple of SWBTS trustees who are NOT on the EC. They were not happy that another board member not on the EC represented them the way he did. I was assured that these trustees trust their EC and are absolutely confident the full board will affirm the decision of the EC. Here's a freebie. The By-Laws and Constitution of every single entity gives the power to the CHAIRMAN OF THE TRUSTEES (by himself or herself) to remove the President unilaterally and place him on "leave of absence" till the full board can convene. That's extreme, but it can be done. The Chairman of SWBTS chose to involve the 12-member EC - and they acted unanimously. I would be confident they know what they are doing. Wade - thanks for the response. I just have one follow up question for clarity. Can a decision by an EC be overturned by a majority vote of the entire board of trustees? Now the rest of the professors who served with Patterson for many years at Southwestern should be gone. All of them because they went along with what they knew was wrong, but especially those who attacked others for him. I hope you are glad that the body at large became responsible for the spiritual authority they have to make the right decision. Oh, the body who voted no on this motion was sinning by demonstrating authority which you say Christians should never have. I'm using your position that one person (or group of person) having spiritual authority over another person (or group of persons) is wrong. I do hope you will not try and make this a non-spiritual issue but a business one. You are at times very confusing. It is a business issue. And, the Convention messengers spoke - the highest authority of the SBC. "Tell the truth and trust the people." For a very, very long time, minority reports could never be given without making the minority person a target. That pastor - the SWBTS trustee who went to the mic and RIPPED the Executive Committee - I will fight for his right to speak, to disagree, to issue his minority report until the day I die. Debate, dialogue, and disagreement. That's what the SBC is all about. I have been fighting demands for absolute conformity. Let churches remain in the SBC and fellowship with them if they have a different view than you on women in leadership, women teaching, women shepherding others. "[Patterson] is a man who has promoted some of the finest women scholars in our convention." Bart is referring to the School of Women's Studies at Southwestern. Women teaching women. Women surrounded by women. Women in their place. Among women. He promoted "some of the finest women scholars" to positions among women. It is so refreshing to see the antics used since 1979 by the Pressler and Patterson group no longer be effective in the SBC convention. Especially after so many God-fearing people, who were loyal to Baptist principles, had their reputations tainted and careers ruined by this core group of people. Time either validates you or exposes you, and the Pressler/Patterson group is finally being exposed, one by one. May God continue to expose those who unjustly tainted so many of his loyal servants so many years ago.